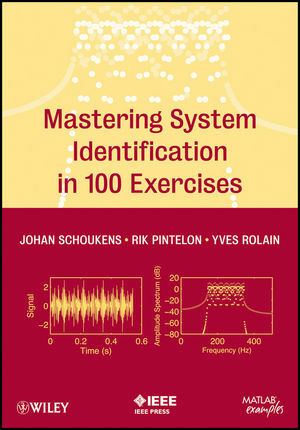 This book enables readers to understand system identification and linear system modeling through 100 practical exercises without requiring complex theoretical knowledge. The contents encompass state-of-the-art system identification methods, with both time and frequency domain system identification methods covered, including the pros and cons of each. Each chapter features MATLAB exercises, discussions of the exercises, accompanying MATLAB downloads, and larger projects that serve as potential assignments in this learn-by-doing resource. Johan Schoukens, PhD, serves as a full-time professor in the ELEC Department at the Vrije Universiteit Brussel. He has been a Fellow of IEEE since 1997 and was the recipient of the 2003 IEEE Instrumentation and Measurement Society Distinguished Service Award. Rik Pintelon, PhD, serves as a full-time professor at the Vrije Universiteit Brussel in the ELEC Department. He has been a Fellow of IEEE since 1998 and is the recipient of the 2012 IEEE Joseph F. Keithley Award in Instrumentation and Measurement (IEEE Technical Field Award). Yves Rolain, PhD, serves as a full-time professor at the Vrije Universiteit Brussel in the ELEC department. He has been a Fellow of IEEE since 2006 and was the recipient of the 2004 IEEE Instrumentation and Measurement Society Technical Award.